In the Mail: the veritable Hall of Judgment. Gaming Ballistic doing Hall of Judgement (Powered By GURPS Dungeon Fantasy) Kickstarter. 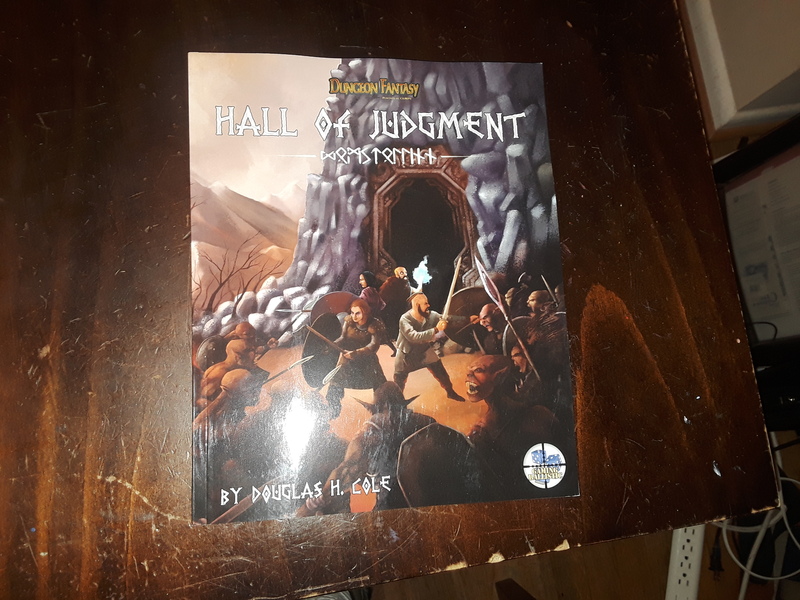 I'm getting very excited to bring the Hall of Judgment Kickstarter to life on Tuesday. 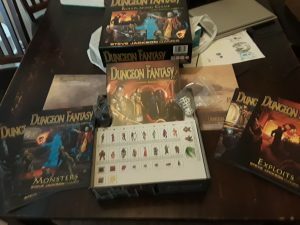 Third-party license for the Dungeon Fantasy RPG boxed set . . . full color, in print and PDF. Powered by GURPS action is coming from Gaming Ballistic! …not least because if Steve Jackson Games is going to permit 3rd-party licensing of stuff using Powered by GURPS Dungeon Fantasy, well. There are possibilities, there. Any number of possibilities. I can think of at least one game world I have that could be easily converted to that system. In the Mail: @SJGames’ GURPS Dungeon Fantasy. Isn’t Dungeon Fantasy pretty-looking? Basically, this is everything that you’d need to run a much more modular fantasy RPG adventure campaign while at the same time using the GURPS system (hence, the entire ‘Powered by GURPS’ thing). It looks real nice, but I’m the wrong person to ask about that. I may not speak Fourth Edition, but I understand it well enough that I’d just sort of paper any problems over in my head and just keep on going. So why did I buy it? Gee, well, it has GURPS in the title. That should be a pretty strong hint as to why, yes? GURPS Discworld [4E] and Mars Attacks! now on pre-order. The ‘Dungeon Fantasy Roleplaying Game, Powered by GURPS’ Kickstarter.